Lesson of the day: Don’t try to hold a cat while there is a vacuum going. It has been great having Kimchi around though and I’m not looking forward to the day I have to give him back. Our failed attempt to walk a cat. Sorry my blog posts have been so sporadic as of late. I just had a crazy weekend where I literally worked around the clock. It was intense but pretty fun overall. Oh! And I also learned how to change a flat tire yesterday! Luckily there was a Valero nearby and the guys were really quick and efficient about fixing the tire. Anyway, I’m going to try to post more frequently (I’m thinking every other day) with something cool or interesting I learned that day. New discoveries will also be documented here. Today’s interesting fact is not that cats will scratch you if you hold them while a vacuum is nearby. It’s actually a discovery. If you haven’t heard of BBC’s, “The Life of Mammals,” go find it now. It’s an amazing series on mammals of all kinds. It’s the “Green Planet” version of “Blue Planet”…if that makes any sense at all. Well, I hope you enjoy it! oh man. i bet that stings. 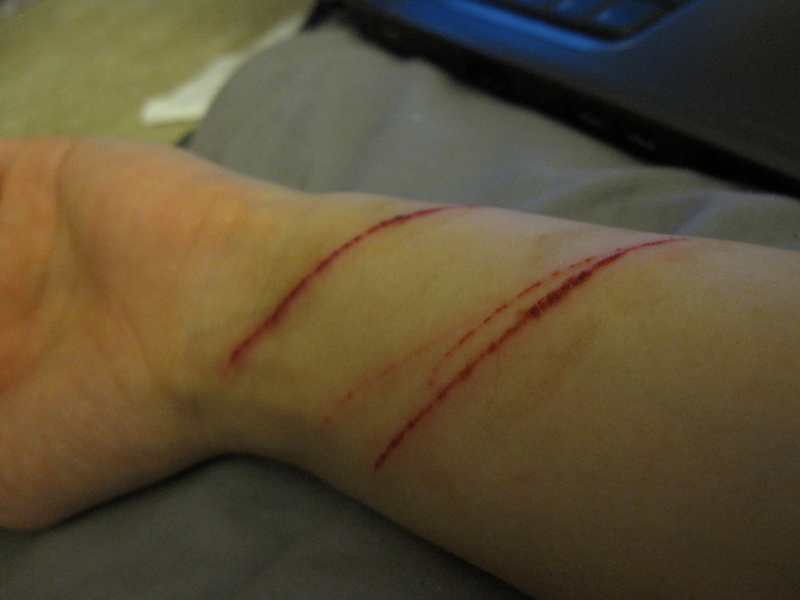 i can still remember when my cats use to scratch me and the stinging pain. i want a cat real bad right now (too). uhm.. cats don’t like being walked. 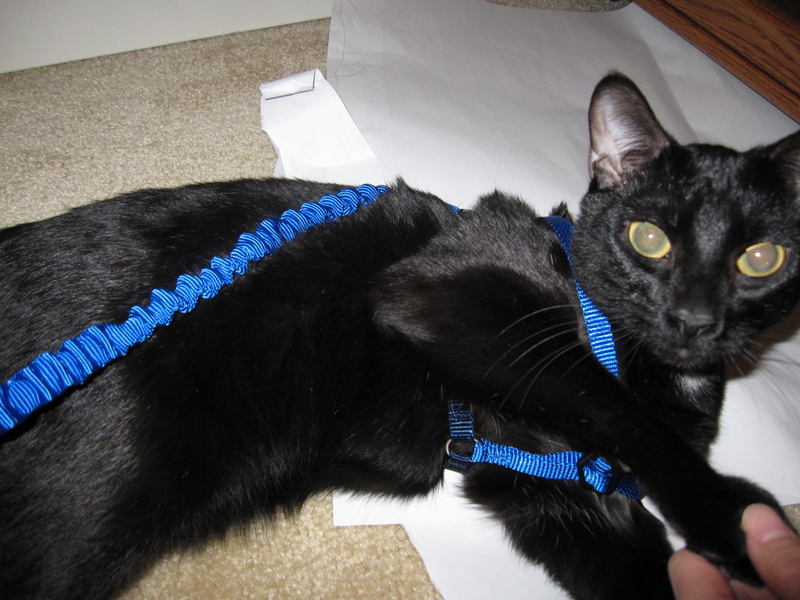 Didn’t I tell you about the one time I made Simon try on a harness at petco? He resisted for a long time and then the line went slack so I thought he adapted. Halfway through our trip, I take a look behind me to see that I’d been dragging Simon across the store floor on his side. Mother F*Ckin poser. It must have looked like I was abusing him. I was so angry with him. 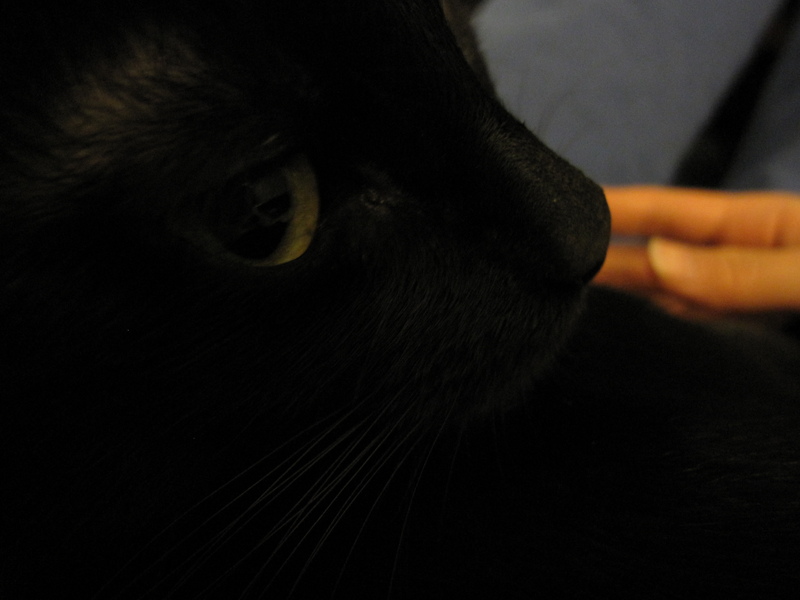 You are currently reading Cat Scratch at You, Me, and Everyone Else.